Anderson's second National Register listed historic district, the West Central Historic District, was designated in 1985 and roughly encompasses 10th, 11th, 12th, and 13th Streets from Brown-Delaware to John Street. The historic district designation was not without its detractors. The establishment of a city ordinance containing rules concerning the modification, renovation, and restoration of the exteriors of all properties within the district boundaries was not necessarily welcomed by all. However, a vote was taken involving all property owners and the benefits were deemed to outweigh any negative aspects. 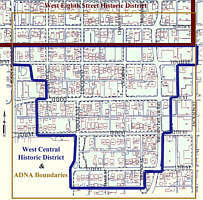 In the 1970s the West 8th Street Neighborhood Association was formed. 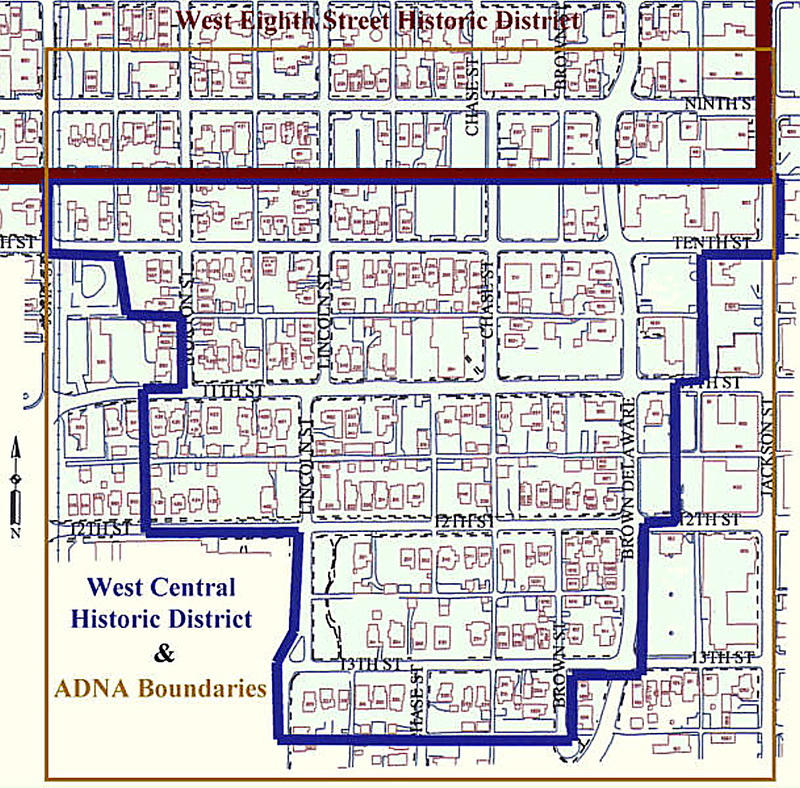 With great efforts, this first group of concerned citizens worked diligently to establish a historic district designation for the area very close to ADNA's future boundaries. Anderson's first National Register listed historic district, the Historic West 8th Street District, was designated in 1981 and roughly encompasses an area from 7th to 9th Street and Jackson to Henry Street.